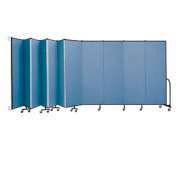 Hertz Furniture offers durable wall-mounted room dividers to meet a wide variety of needs and settings. 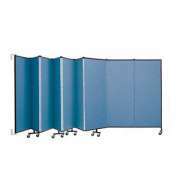 Panel or accordion partitions provide instant privacy for meetings, classes or other work areas. They make it easy to divide space temporarily. 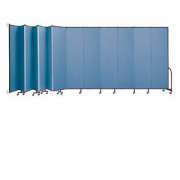 Which wall partitions should you get? Hertz Furniture’s selection is recommended for classrooms, meeting rooms and training centers, reduces sound transmission and folds conveniently for easy storage. 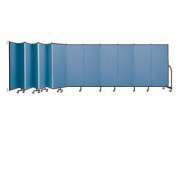 Ceiling-mounted room dividers can be used to divide one large room into several smaller ones, making them suitable for convention centers, religious facilities, and school buildings. 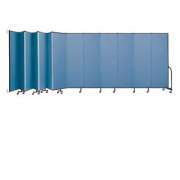 What can wall partitions be used for? Undertaking a construction project to increase the number of classrooms, workspaces or meeting areas in your building can be both costly and time-consuming. While new walls are being constructed, an alternative workspace must be utilized and a large-scale project such as this can be quite expensive. If your school, company or house of worship wants to divide a large space without losing time or spending too much money, wall mounted room dividers can really come in handy. Room partitions can be used to divide a space of any size or shape on a temporary or more permanent basis. 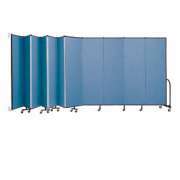 They are easy to install and a breeze to arrange. They just need to be mounted to the wall or ceiling, depending on the model you choose. Once movable walls have been installed, they can be rolled out to create a separate classroom or office in a matter of seconds. 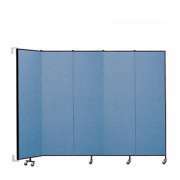 Unlike permanent walls, folding room dividers also offers the added flexibility to reopen the space when a larger room is desired. 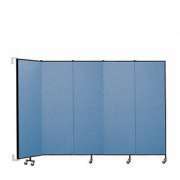 Wall-mounted room dividers are perfect for a classroom with a collaborative teaching setup because they enable co-teachers to split up the room and work separately with students, or create one big space where everyone can work together. How can I hang things up on a wall partition? 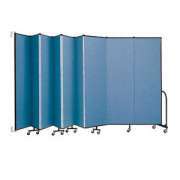 A wall partition offers all of the conveniences of a permanent wall with some added features. 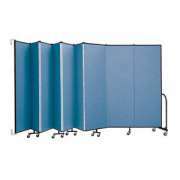 Panel partitions rest in a flat row when they are set up, so you can hang up posters, fliers or pictures. 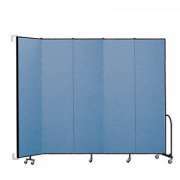 With the use of some velcro or tacks, they can be decorated to look just like a permanent study or work space. 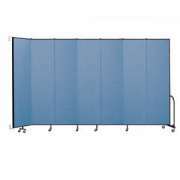 Our partitions also feature a high degree of noise elimination, so there is no need to worry about sounds carrying over from adjacent spaces. This feature is especially convenient when two conference sessions are taking place in adjacent spaces or one class is doing an active lesson involving social emotional learning while the class next door is taking a test. How do I choose between wall-mounted room dividers and portable partitions? 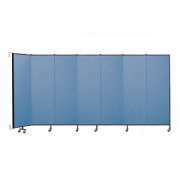 Wall-mounted partitions are ideal for a space which is split up in the same arrangement on a regular basis. Rather than having to run around and find room partitions every time you want to divide the area, you can rest assured that the partitions will always be there when you need them. This option also assures that you can have the exact arrangement you want every time without having to spend time measuring or moving things around. There is no need to worry about partitions getting in the way and interfering with the arrangement of the room when they are pulled back. 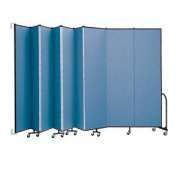 Our models lie flat against the wall when not in use, maintaining a maximum amount of open space. They easily slide into position when spaces need to be opened up and are ready to go at a moment&apos;s notice when the room needs to be divided again. What kinds of room partitions are there? 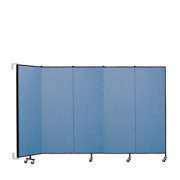 Wall dividers are available in both panel and accordion room dividers. They can be wall- or ceiling-mounted depending on your preference. While both options ensure that partitions are always in position and ready to go, the ceiling-mounted arrangement completely divides a space from top to bottom with no open space above. This style has more of the look and feel of permanent walls. What color should my room dividers be? Room partitions come in a great selection of surface colors. If you are dividing a large room into classrooms, this offers a great way to introduce new classroom colors. 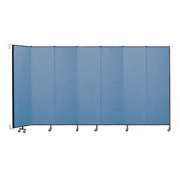 In a professional environment where partitions are being used to divide up offices or seminar rooms, more subdued colors are usually preferable. If the partitions are a similar color to the walls of the room, most people probably won&apos;t even notice that they are temporary. When you need a quick and easy way to divide up a space, partitions can be quite helpful. 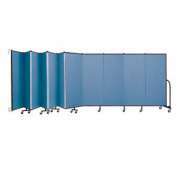 At Hertz Furniture, we offer you top-quality wall mounted room dividers from Screenflex and Customfold so you can divide up any space in your professional, educational or religious institution. This convenient, cost-effective solution will transform your space.